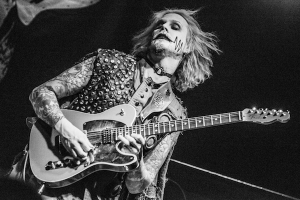 Rob Zombie guitarist John 5 guests on the show this Sunday night at 9pm! Listen in for your chance at a vinyl copy of John 5 and The Creatures new release IT’S ALIVE. I’ve also got tickets to the sold out Whiskey show on 4/6, Slayer tickets for the sold out show at Five Point Ampitheater, Judas Priest Tickets for the Microsoft Theater show in April + your chance at Machine Head tickets for the Fonda show coming up. Listen in for 2 hours of Hard & Heavy.